The Pike Oley District Preservation Coalition traces its origins to a local environmental threat: the proposal of the Wissahickon Spring Water Company of Philadelphia to extract water on leased land in Pike Township, at the site of an old trout hatchery where a pristine, fresh-water spring flows into Pine Creek, an Exceptional Value stream. The water company obtained permits from Pennsylvania's Department of Environmental Protection and the Delaware River Basin Commission to extract 288,000 gallons of water a day. Their next step was application for a zoning amendment in Pike Township, which would allow the use of the property for the development of a commercial well, pumping and storage and trucking facilities for round the clock shipment to the bottling plant in Kutztown. On May 23, 1995, a public hearing of the Wissahickon Spring Water Company before the Pike Township Board of Supervisors attracted a huge crowd of concerned citizens. Shortly thereafter, an activist alliance of conservation-minded citizens was mobilized. Pike and Oley Townships, the Pine Creek Watershed Association and the Oley Youth League joined forces. 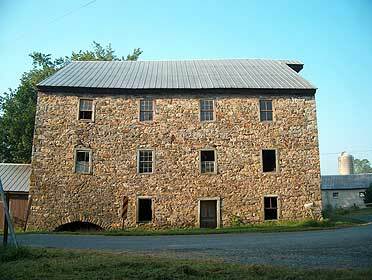 To kindle grassroots efforts and help raise funds, the Pike Oley District Preservation Coalition -- POD/PC-was formed. After successful fund- and consciousness-raising, scientific studies, and legal preparations, our conservation coalition was ready to challenge the permits. The result was a precedent-setting decision by the Environmental Hearing Board, remanding the DEP Permit, and requiring a broader, more stringent review process. In October 1998, Wissahickon quietly discontinued its trout hatchery lease. But would they or another bottling company try again? Clearly, more work was needed. 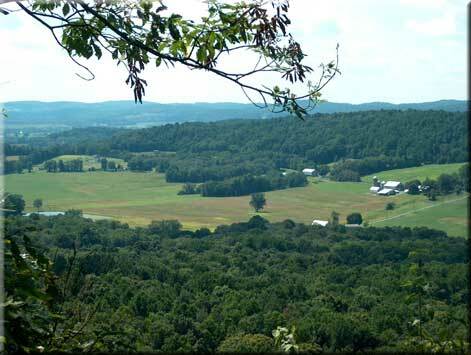 In November 1998 the owners of the trout hatchery signed an agreement with Oley Township, Pine Creek Watershed Association, Berks County Conservancy and POD/PC to sell a conservation easement which would preserve the property in its natural state, provide restricted public access and prohibit the extraction of water for commercial purposes. Again the local partners, aided by a Pennsylvania Department of Concervation and Natural Resources matching grant, successfully raised the necessary funds to purchase a conservation easement that will permanently protect the land and water resources of the hatchery site. Today, POD/PC continues with its conservation and environment protection mandates. We are working with the Environmental Advisory Councils of Pike and District Township. We support and are actively involved in grant-funded projects to protect and preserve our watersheds. We invite your participation. Please go to the membership and activities pages for more information. Thank you.